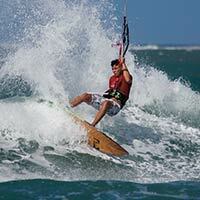 Everything you need to get started in kitesurfing, the perfect complement to lessons with a qualified instructor. The Beginner Collection is 12 videos covering all the techniques you need to master to become an independent kiteboarder. Progression's How-to videos will definitely tell you "what" you need to do but important our insight will help you to understand "why" and the "how" to make that happen in the easiest way possible. Through better understanding, we can help to build your confidence so after your lessons, you can continue to learn and improve in a safe environment. Please confirm that you'd like Progression to email you when the new Beginner Collection is available to purchase? You currently have an notification setup for the new Beginner Collection and Progression will send you an email to let you know when it is available to purchase.